The author purports that the number of fatalities in 2008 is “one of the most devatstating years on record.”Â This conclusion depends on the definition of a natural disaster.Â If one includes pandemics such as the Black Death that culled 15-25% of the world’s population (75-100 million people) in the 14th century, 2008 looks relatively tame.Â This year’s 220,000 natural disaster-related fatalities represent roughly 0.003% of the world’s population. “This continues the long-term trend we have been observing. Climate change has already started and is very probably contributing to increasingly frequent weather extremes and ensuing natural catastrophes,” Munich Re board member Torsten Jeworrek said. [A]n earthquake shook China’s Sichuan province, leaving 70,000 dead, 18,000 missing and almost five million homeless, according to official figures, Munich Re said. 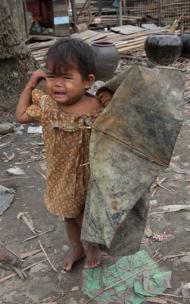 Around 1,000 people died in a severe cold snap in January in Afghanistan, Kyrgystan and Tajikistan, while 635 perished in August and September in floods in India, Nepal and Bangladesh.Â Typhoon Fengshen killed 557 people in China and the Philippines in June, while earthquakes in Pakistan in October left 300 dead. 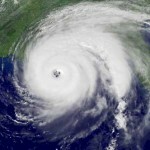 Six tropical cyclones also slammed into the southern United States, including Ike which, with insured losses of 10 billion dollars, was the industry’s costliest catastrophe of the year.Â In Europe, an intense low-pressure system called Emma caused two billion dollars worth of damage in March, while a storm dubbed Hilal in late May and early June left 1.1 billion dollars’ worth. Hopefully being better prepared for disasters will help curb these stats.